Buying or selling a property can be daunting, so it’s a good idea to arm yourself with as much knowledge as possible from the outset. Real estate sales involve industry-specific and legal jargon, and it’s not unusual to come across unfamiliar terms. Having the right people to support you will ensure you have advice on hand when needed, so it’s a good idea to build a team of professionals you trust who can help you navigate the process. Raine & Horne have produced a brief, informative video to give an overview on just what a conveyancer does and what conveyancing is. Conveyancing is one term that is widely unknown amongst first time home sellers even though it’s an essential part of the buying and selling process. We’ve put together a definitive guide to help you through this unknown territory and make the buying and selling process clearer. Real estate agents are a key resource in your selling journey, so it’s a good idea to talk to a top-selling agent in your area to get their recommendations on a conveyancer. What Is The Difference Between A Conveyancer & Solicitor? What Does A Conveyancer Do When Selling? What Does A Conveyancer Do When Buying? Can I Do My Own D.I.Y. Property Conveyancing? Conveyancing simply refers to the process involved when transferring a property from one person to another. It’s a legal requirement that all property transfers are done in writing and each sale must be completed according to local state or territory laws. A professional conveyancer essentially ensures the transfer of ownership adheres to these laws. The conveyancing process includes two stages: exchange of contracts and settlement (including the settlement period and the settlement date). Settlement period: refers to the time between the exchange of contracts and the handover of keys to the property. The purpose of this period is to allow time to finalise any paperwork or finance, move out of the property, clean, undertake repairs, etc. Property settlement day: refers to the day the new owner takes possession of the property, after having paid in full. As mentioned, conveyancing involves a legal process and, thus, must be handled by a professional conveyancer or solicitor. This ensures all parties’ rights are protected and all legal obligations are met. Sale contracts are legal documents. A professional conveyancer will ensure all necessary special conditions are included and contracts adhere to state and territory laws and regulations. Sale contracts are binding. Before the client signs a contract, a professional conveyancer will check it and advise on any potential issues with buying the property. 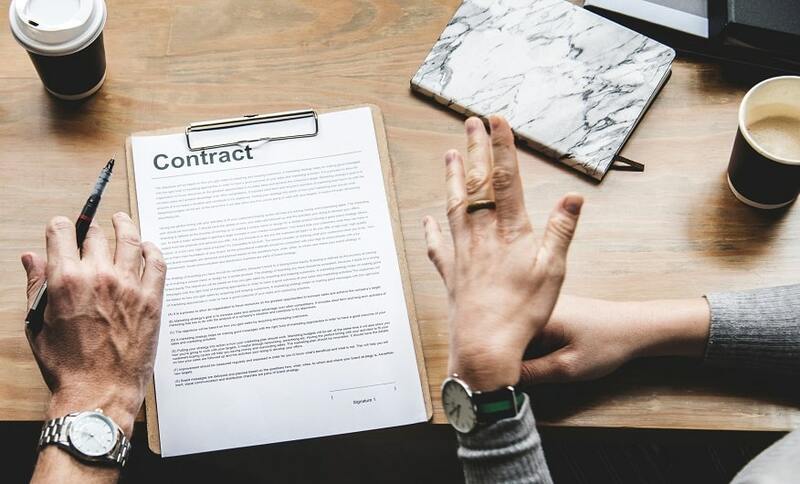 This essential legal advice helps ensure buyers know what they are buying before they sign a contract and minimises the risk of a regretful purchase. The settlement date impacts both the buyer and seller. Conveyancers can help sellers determine the best settlement date before they sell the property, ensuring that the transfer goes as smoothly as possible. Timeframes are strict in conveyancing. Performing a conveyancing step late can often cause legal implications. A professional conveyancer will manage the whole conveyancing process and ensure that each step is completed by the required date. Engaging a conveyancer as soon as possible can ensure you don’t inadvertently create any legal repercussions by missing important deadlines. When you are ready to engage a conveyancer, the best place to start is at your local real estate agent. They can recommend a professional conveyancer and provide advice on when is the best time to engage one. You can find the best agent for your needs by comparing those in your local area. Price: a conveyancer is usually cheaper than a solicitor. Qualifications: a conveyancer must complete a tertiary-level course in property law, while a solicitor must complete a law degree. Knowledge: a conveyancer specialises in property law, while a solicitor has knowledge of both property law and the law in general. Service: a conveyancer is able to handle all legal work involved in a real estate transaction, while a solicitor is able to handle both conveyancing work and additional legal work, as well as providing professional advice and guidance in other areas, e.g., tax and family law. If a property sale is expected to be quite straight-forward, a conveyancer is usually the best choice. However, for sales which are expected to be complicated, a conveyancer will likely need to refer you to a solicitor for some parts of the process. In these cases, engaging a solicitor from the beginning can be more cost effective, as they are able to provide an all-inclusive service. A number of legal documents are required during a property sale. Each of these are vital to the process and must be in line with state and territory laws. 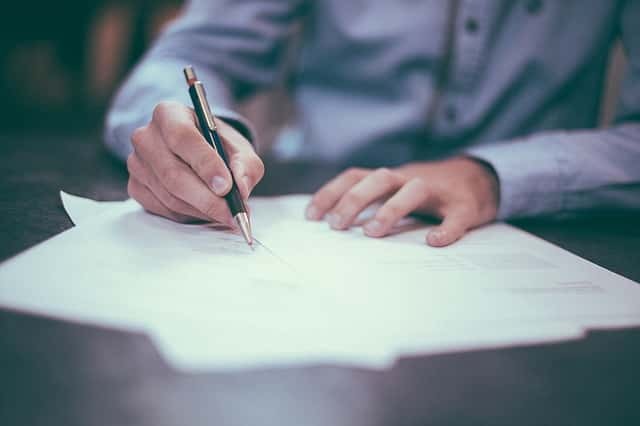 A conveyancer has the skills and experience necessary to prepare all required documents and provide advice on any document that must be signed by their client. Both the seller and buyer will need documents prepared before the transfer of a property is complete. The conveyancer will need to do a lot of research before preparing the vendor’s statement. This includes title and planning searches. Legal jargon and processes can be both confusing and daunting. A conveyancer’s role largely consists of document preparation, but they are also excellent legal advisors when it comes to property law. Having a trusted conveyancer on your team will help you feel confident that things are progressing as they should be and that you are meeting all of your obligations. It is possible to forgo a professional conveyancer and do the work yourself, but this is not usually recommended. The conveyancing process is quite complex and involves many laws and regulations, so you would need to have an in-depth level of knowledge to perform the task correctly. The biggest risk in doing your own property conveyancing is potential financial loss in the future. A conveyancer has insurance that is not available to individuals, and this covers them for any mistakes that lead to financial loss for the client. Doing your own conveyancing means taking on all of the responsibility. If you make a mistake during the process, you must cover any financial loss yourself. It is highly recommended that you engage a professional conveyancer to minimise risk. If you would like more information on conducting D.I.Y. conveyancing, read our article on it here. Settlement is an important part of the conveyancing process, and it can be a big problem if settlement is delayed. One example of this is when a buyer is unable to settle on the agreed date. The buyer is then liable to pay interest (calculated daily) on the outstanding sale amount until settlement occurs. However, this can be avoided if the seller agrees to waive the interest payments or extend the settlement date. Throughout the settlement process, communication is key. Organise a suitable time for settlement: Although the settlement date has already been set and included in the sale contract, the conveyancers will find an appropriate time for settlement to occur. This needs to be suitable for banks or financial institutions, as well as the buyer and seller. Contact bank or financial institution: the buyer’s conveyancer will contact the bank to ensure funds are cleared and available to pay the seller. They will also book settlement with the bank and provide any necessary information. Contact the real estate agent: once all money owing on the property is paid, the conveyancer will contact the seller’s real estate agent and advise that they may hand over the keys to the buyer. The seller’s conveyancer will also confirm this with the real estate agent. If you are holding the money yourself, you must make this available to your conveyancer 24 hours before settlement day. This gives the conveyancer enough time to complete everything before the settlement deadline. As settlement day approaches, the real estate agent will organise a pre-settlement inspection of the property. As a seller, it is vital to ensure that the property is in a condition similar to when the buyer first inspected it. If the property is not, it can delay settlement. Delays can occur on settlement day for a variety of reasons, so it is best to be prepared for any unexpected problems. To avoid being stranded, it is best to plan for the worst case scenario. Organising move-in day for one or two days after settlement can ensure you have somewhere to stay if settlement is delayed. Choosing a conveyancer is as important as choosing the right real estate agent. As in any profession, conveyancers vary in their skills and capability and finding the right one takes time. The best way to ensure you find a quality conveyancer is through referrals. It’s a good idea to ask your real estate agent, as they work with conveyancers regularly and can refer you to someone they know. You can also ask friends and family if you know someone who has recently sold or bought a property. Another option is to ask professionals that you have a rapport with, like your accountant or lawyer. Do you specialise in particular property types? Are you exceptionally busy at the moment? Are you easy to reach? Will we be in contact often? What are your fees and when do I need to pay them? Are there any hidden costs that I need to be aware of? When would you expect settlement day to be? Once you are confident you’ve found the right conveyancer, it’s a good idea to do a background check. This checks that there are no complaints against them and that they are legally allowed to perform conveyancing work. Your real estate agent is your best connection to a quality conveyancer. If you haven’t yet found an agent, you can compare those in your local area with our handy comparison tool. Once you have chosen your preferred agent, you’ll have access to quality conveyancers and can begin searching for the perfect legal addition to your property team.